UHD 4K IPTV/OTT STB is the latest terminal product introduced by Sumavision. 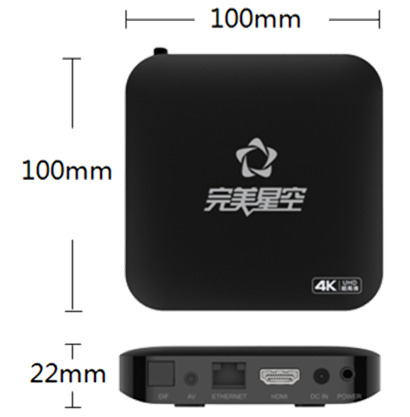 With our Android box, Telecom / DTV customers can watch thousands of genuine movie, TV drama, variety show, cartoons, and documentary, even 4K content; photos and video games can be wireless delivered to your large screen television. Enjoying the audiovisual world now becomes easier than ever! Adopting highly customized Android 7.0 system, SumavisionUHD 4KIPTV/OTT STB is implanted with a smart “Brain”. Besides basic functions such as live broadcast, VOD, TV replay and Multi-screen interaction, built-in professional App Store and deeply optimized operation interface bring television user brand-new entertainment experiences. Exclusive collected 4K live program source, users can enjoy perfect high definition life at home. Built-in Time shift & Playback function supports one week replay of main media channels and hot satellite TV programs, ensuring that all exciting moments are in users’ grasp. Variety of VOD applications are built in sumavision smart box, perfectly supporting program searching, filtering and chasing, daily updating featured posters on home page. By clicking one button on remote control, user can easily access hot TV programs and films. Sumavision has self-developed system-level support for DLNA and Airplay functions, which enable cross-screens interaction (pictures, local/on-line video&audio files) among cell phone and tablet device with IOS or Android system. Sumavision UHD 4K IPTV/OTT STB comes with preloaded App Store which is maintained by professionals. Massive applications (games, music, SNS and browsers) are specifically designed for TV and have passed strict tests, ensuring normal downloading and running; all commercially available video applications are included in App Store and enable the users to watch internet video without omission. By hardware decoding, the built-in stable media player supports playing of local video/audio, pictures files in all formats, even Blue-ray HD and 3D video. Revolutionary designed application list considers users’ experience deeply: main menu shortcut setting enables adding commonly used applications to personal favorite, application access is easily achieved without entering secondary menu; with factory-installed video, game, stock, browser, news, micro blog and other applications, users are able to enjoy smart entertainment life once they bring Sumavision UHD 4K IPTV/OTT STB home. Based on years of industry experience,Sumavision brings the refreshing UI designed specifically for TV users. Android’s system-level interfaces, such as main menu, application list, system setting, etc. are gorgeous and user friendly; perfectly combining with standard remote control, remains the traditional TV operating custom; more accessories are available, such as 2.4g 6 axle/9 axle somatosensory remote control, optical somatosensory remote control, mouse, keyboard and infrared remote control can enrich users operation experience.